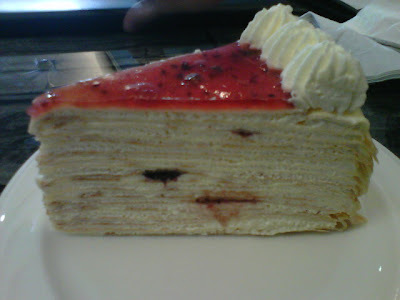 Finally my wish granted, thank you very much to my cousie as he brought me and my sister to have crepe cakes. It's been a long history that Melacca has this famous cake shop named Nadeje Cake House. 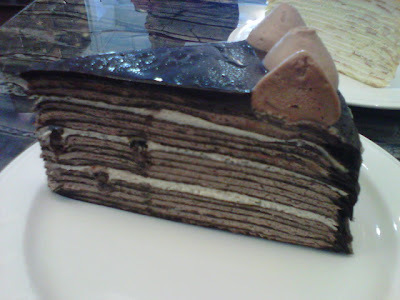 They serve crepe cakes with different flavours and of course, other food as well. Still, cakeys are my lovers. 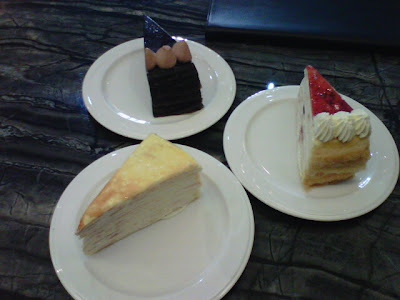 Each slice of the cake is RM9.90, somehow I felt that the cakes are overprice (compared to Secret Recipe). Well, I present you the cakeys we tried on that day. Personally, I prefer the Original one. 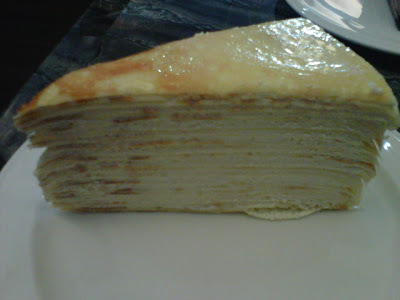 It's a MUST try Mille crepe among of all crepe cakes. 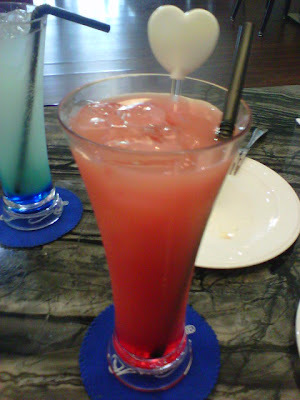 Although the strawberry taste isn't strong, the overall taste was not bad. 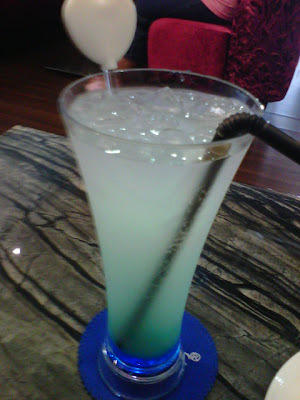 Personally, I would recommended you all to try out the milkshakes, compared to non-alcoholic drinks. 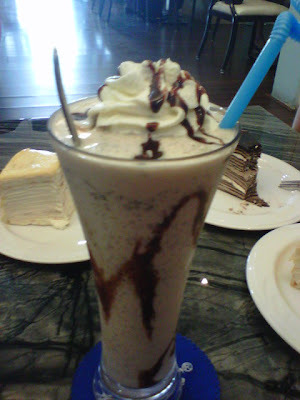 Best among all, the chocolate milk shake. They also have stamp collection just like Chatime and Snowflakes, which makes them different from Secret Recipe. 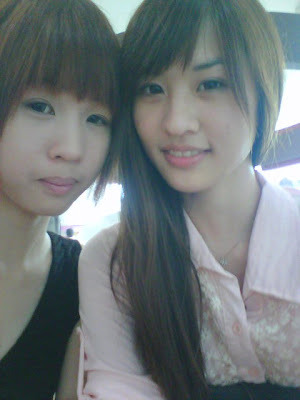 Not to forget, it was time for our picture moments again. They have another outlet in Pahlawan Parade. I have not been there because my cousin said the current one is the first in the town. 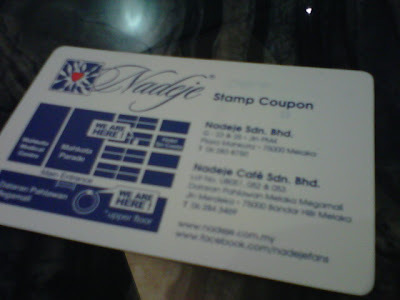 P/S: If you are out of place to hang out in Melacca, try Nadeje too. 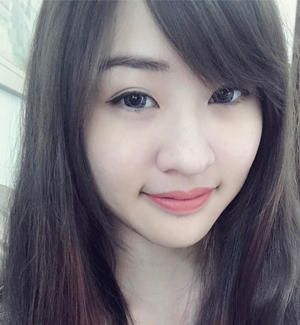 Chloe > :D. You should. But it's a lil pricy though.